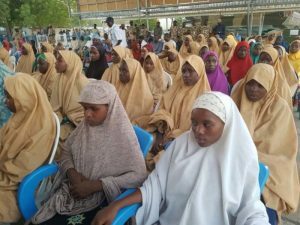 The Federal Government of Nigeria reached a breakthrough in securing the release of the last of the abducted Dapchi Girls, Leah Sharibu, said the Inspector General of Police Ibrahim Idris on Saturday in Maiduguri. Islamist terror group Book Haram had reportedly held back on freeing Leah on account of her not renouncing her Christian faith. The now freed girl is on her way to Dapchi, Yobe State, according to the Police IG on Saturday evening. Idris had been paying a visit to Theatre Commander of the military counterinsurgency in the northeast Maj. Gen. Rogers Nicholas, saying that he “was to be in Dapchi as part of my on the spot assessment tour of deployment of personnel to schools around the northeast for enhanced Security. 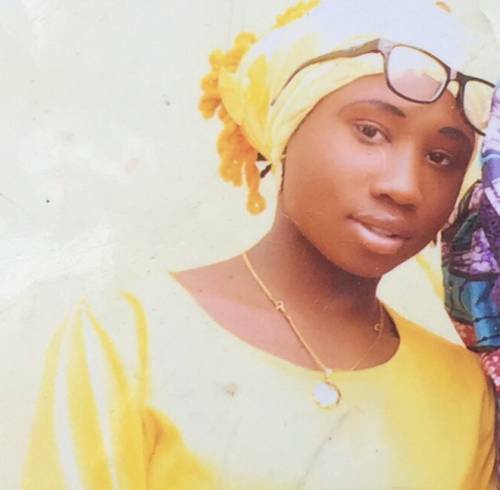 Parents of Liya Sharibu, the schoolgirl still held by Boko Haram, over her refusal to convert to Islam, have said they are proud of their daughter’s courage; even in the face of threat to her life. “I’m very happy and proud that I am the father. I’m very happy because she is the only Christian among them. I have no fear, even if she dies because she did not denounce Christ. If she dies today, I’m very happy of her. I don’t have anything to regret about her,” Sharibu Nathan told Daily Sun, yesterday. Sharibu, 45, however, urged the Federal Government to secure her release, the way it did for the 105 girls returned by Boko Haram on Wednesday morning. “I am urging the people, begging the federal government to assist in bringing this girl back, let her, too, be released because this is a nation and everybody has his/her own religion. All of those who were released are all Muslims; she is the only Christian and that was why they did not release her,” he said. On her part, Leah’s mother corroborated the freed girls, who revealed that the insurgents refused to release Liya because of her religious belief. “The released girls told us that the insurgents insist she must denounce her religion but she told them she has no knowledge of Islam. She was, then, left out of the Dapchi trip; on the condition that any day she accepts Islam, she will be released,” she disclosed. She said Leah was left with three other Boko Haram women, and that her daughter sent a message through her school mates. “She sent a message that we should pray for God’s will to be done in her life,” the mother said. Meanwhile, former governor of Jigawa State and presidential aspirant, Sule Lamido, has accused government of not ensuring sufficient security that would have prevented the girls’ abduction. Lamido said this in Lagos, yesterday, during his visit to the state chapter of the People’s Democratic Party (PDP). He was received by the state chairman, Moshood Salvador and his team. Lamido said the Dapchi abduction was not supposed to happen and questioned the absence of security operatives on the day they were abducted. “How can terrorists come in a convoy, in broad daylight, kidnpap over 100 schoolgirls and come back, in broad daylight, in a convoy, to return them? “When Buhari was in Yobe, he had over four naval planes which secured him, yet, few weeks later, these girls were kidnapped and released and their abductors even had the time to chat with villagers and preach to them. “It is very horrifying. We need to ask questions on the manner they were taken and how they were brought back. “The federal government is insulting our intelligence and if this government remains in 2019, they will turn all of us to fools; with their agonising and morbid lies. “How can terrorists come into town, kidnap people, return them, shake people’s hands and even preach?